Gabled Elizabethan manor house of deep red brick with interiors rebuilt in 1856. Fine collection of paintings and furniture, including 14 paintings looted from Philip IV of Spain. Collection also includes museum of rural life showing self-sufficient village. The Festival of Speed is the largest motoring garden party in the world –a unique summer weekend that brings together an impossibly heady mix of cars, stars and motorsport ‘royalty’to create the largest car culture event in the world. Goodwood, West Sussex. The GRRC-only Members’Meeting is an epic sell-out weekend of motor racing and high-speed track demonstrations, featuring all kinds of cars from classic tin-tops and GTs, to motorcycles and open wheeled Formula 3 and F1 machines. Plus, wonderful food and drink, fun-packed festivities and great entertainment, all with no crowds. Ye Spotted Dogge is an ideal base from which to visit being just under 21 miles from the circuit by car. The Festival of Speed is the largest motoring garden party in the world –a unique summer weekend that brings together an impossibly heady mix of cars, stars and motorsport ‘royalty’to create the largest car culture event in the world. YE SPOTTED DOGGE is just under 21miles from Goodwood via the A27. Gunwharf Quays is a unique and vibrant shopping and leisure destination. Set on the historic waterfront, it is the ideal place to explore, shop and dine and take in the exciting sights of this historic coastal city. Top brand shops include Armani, Antler, Hugo Boss, Calvin Klein, Crabtree &Evelyn, Fossil, Gant, Jaeger, Karen Miller, Michael Kors, Paul Smith, Ted Baker. Swarovski, Tommy Hilfiger and White Stuff. Carluccio’s, Jamie’s Italian. Loch Fyne and Brasserie Blanc plus there are over 20 other food and pub destinations. 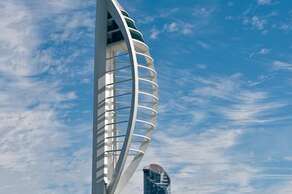 Gunwharf Quays is also home to the the stunning 170metre tall Spinnaker Tower with spectacular views over the Isle of Wight and Portsmouth. Try the amazing glass Sky Walk, with virtually nothing between you and the waves below. Then head up to the Sky Deck - open to the elements and the energising sea breeze. Portsmouth's Blue Reef Aquarium takes visitors on the ultimate undersea safari. At the aquarium's heart is a giant tropical reef tank that is home to a variety of tropical sharks and stingrays, as well as hundreds of brightly-coloured reef fish. Visitors are able to get up close to these creatures and see life from the sea bed, thanks to the underwater, walk-through tunnel. 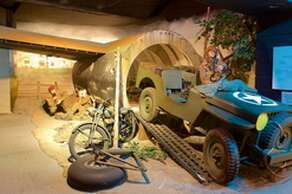 Britain’s only museum dedicated to solely to covering all aspects of the D-Day landings in France on 6th June 1944. At present it is undergoing an exciting £4.9 million project to transform the D-Day Museum and will re-open in spring 2018, with completely new displays about D-Day and the Battle of Normandy, told through the stories of those who took part. The centrepiece of the museum is The Overlord Embroidery, a tribute to the sacrifice and heroism of those who took part. Inspired by the Bayeux Tapestry, it traces in stunning visual form the progress of Overlord, from its origins in the dark days of 1940 to victory in Normandy in 1944. 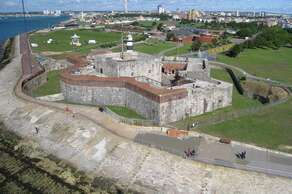 Southsea Castle is open as an historical attraction free of charge between March &October each year. Built in 1544 by Henry Vlll visitors can explore the keep, enjoy a bite to eat in the Courtyard Cafe (open all year) or try some beer from the on-site micro brewery. 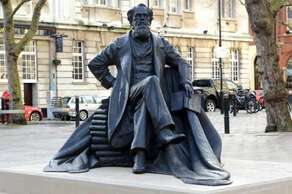 brings his birthplace to life, perfectly presenting the furnishings and style of the Dickens family. A fully-furnished parlour, dining room and bedroom featuring genuine Regency furniture and household items, allowing you to step into the world of the 19th century Dickens family. See exhibits belonging to the man himself, including personal possessions such as his snuff box and even the very couch on which he died. the Portsmouth International Port is just 2miles away. 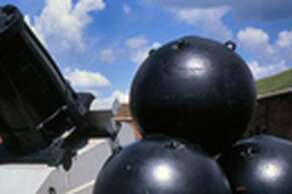 Discover the national collection of artillery at Fort Nelson, home to the Royal Armouries’big guns. Explore 19 acres of ramparts, outer fortifications, secret underground tunnels, and ammunition bunkers at this fully restored Victorian fort. Find out what life was like for the Victorian garrison in the barrack rooms, hospital and kitchen. Daily events include guided tours and a live firing of a second world war 25 pound Howitzer gun at 1pm. Admission is free of charge. The most impressive and best-preserved of the Roman 'Saxon Shore' forts, Portchester Castle was originally built in the late 3rd century. 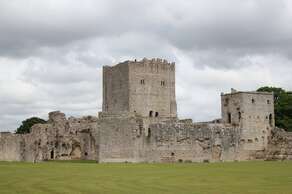 An exhibition in the keep interprets the history of the castle and Portchester village, and displays finds excavated on site. The inclusive audio tour explains life in the castle over the centuries. One of the most elegant country houses in the south, set in extraordinary landscaped parkland setting and fronting onto the largest beech avenue in England, cut in the 17th century. 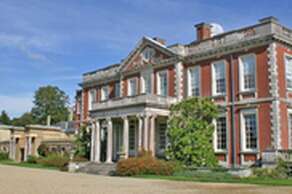 Fine collection of furniture and pictures, including portraits by Reynolds, Hoppner and Liotard formerly owned by the Earls of Bessborough. Extensive 'below stairs' experience and features include a large complex of walled gardens, Bessborough arboretum and a garden centre. 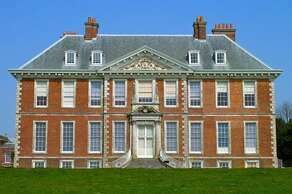 Late 17th-century house in an impressive setting. The drama of the 1989 fire and restoration adds to the magic of this romantic house, which is set high on the South Downs with magnificent sweeping views to the sea. The elegant Georgian interior houses a famous Grand Tour collection that includes paintings, furniture and ceramics. An 18th-century dolls' house with original contents is one of the highlights. The complete servants' quarters in the basement are shown as they were in Victorian days when H. G. Wells' mother was housekeeper. The beautiful and peaceful garden is in the early stages of being restored to how it would have looked in the 1830`s. 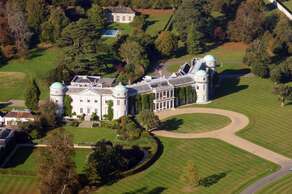 Goodwood House, home to the Dukes of Richmond for over 300 years, is open to the public for 60 days a year. The Regency State Apartments house some astonishing treasures including celebrated paintings by horse artist George Stubbs and Canaletto's stunning views of the City of London. An extensive Sevres porcelain service is also on show, together with French tapestries, fine furniture, and fascinating objects. History comes to life at Goodwood House, with portraits of the Kings and Queens of England, of dukes and courtiers, all here due to the origins of the family as descendants of King Charles II. Not only does Goodwood display a classic English art collection, but as the family home of the Earl and Countess of March and Kinrara, it also has a warmth and charm all of its own. Visit West Dean Gardens and escape to a beautifully rejuvenated historic garden rich in creative and social heritage. Explore a wide range of features on a gentle walk around the extensive grounds, or venture further to the unique arboretum. Features include the 13 restored Victorian Glasshouses housing orchids, fuchsias, figs, vines, melons and chillies. 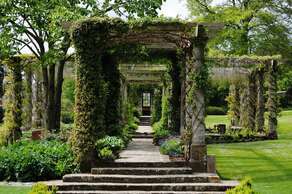 See the Walled Kitchen Garden of classic Victorian design, 300 foot-long Edwardian Pergola designed by Harold Peto, the naturalistic Spring Garden, the award-winning Sunken Garden and the orchards. The circular 2½mile arboretum walk set in 50 acres of beautiful parkland offers stunning views of the South Downs and a route passing Edward James’grave. Enjoy lunch or afternoon tea in the Gardens Restaurant or breakfast at weekends/Bank Holidays, and browse the Gardens Shop for unique gifts and plants. 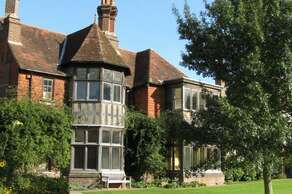 West Dean Gardens is part of The Edward James Foundation, the registered charity behind West Dean College, West Dean Tapestry Studios and the wider West Dean Estate. A unique place to study, visit or stay, West Dean aims to inspire creativity, champion traditional art and craft practices and advance the care of heritage objects. 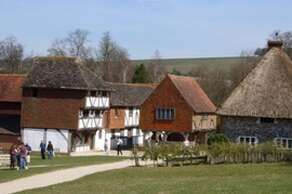 The Weald &Downland Open Air Museum is home to over 50 historic buildings which have been rescued from destruction and rebuilt in a beautiful 45-acre setting in the South Downs National Park, bringing to life the homes, farms and workplaces of the south east over the past 500 years. Exhibits include a medieval farmstead;a working 17th century watermill producing wholemeal stoneground flour sold in the Museum shop and used in the lakeside cafe;exhibitions of traditional building techniques and agriculture;a working Tudor kitchen, historic gardens and farm animals. Special countryside events are held throughout the year. Gilbert White's House &the Oates Museum is a charming 18th Century House, home of the famous naturalist, the Rev. Gilbert White, the author of "The Natural History and Antiquities of Selborne".Over 20 acres of garden and parkland restored to how it would have looked in Gilbert White's day. There is also an exhibition on Captain Lawrence Oates and his part in Scott's ill fated expedition to the South Pole in 1911. Facilities include a tea parlour serving some 18th Century fare such as Homity Pie and Toasted Wigs. Excellent Museum shop stocking unusual gifts. 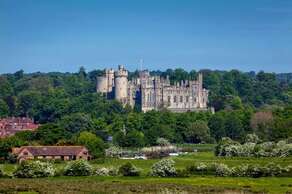 The seat of The Dukes of Norfolk and set in 40 acres of sweeping grounds and gardens, Arundel Castle has been open to visitors seasonally for nearly 200 years. 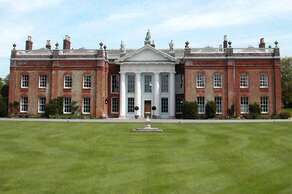 It is one of the treasure houses of England, each having its own unique place in history and is home to priceless works of art. Come and see paintings and furniture, tapestries and stained glass, china and clocks, sculpture and carving, heraldry and armour in stunning room settings. Restoration house of brick with giant Doric portico by John James (who assisted Wren to build Greenwich Hospital) for George Brydges, who died in the lake rescuing his pet dog. Sumptous painted interiors and further elaborations by the 18th century Duke of Chandos. 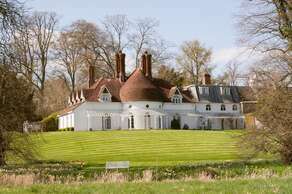 The house lies in an unchanged parkland and is flanked by cedars of Lebanon, tulip trees and part of the 18th century great lime avenue with views across water meadows to the Itchen. 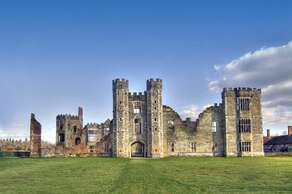 Cowdray is one of Southern England's most important early Tudor courtiers' houses, visited by King Henry VIII and Queen Elizabeth I. 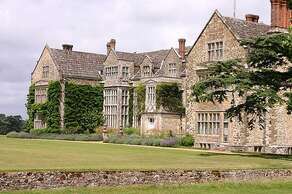 Partially destroyed by fire in 1793, its ruins are set in the stunning landscaped grounds of Cowdray Park. Accessible again after a major 21st century conservation project, Cowdray can now tell the stories of its owners and the daily life of a 16th century noble household. 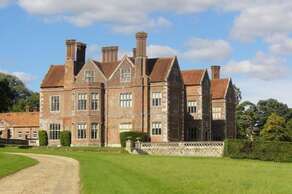 Home of Jane Austen for the last eight years of her life, Chawton is a delightful village near Alton in Hampshire. 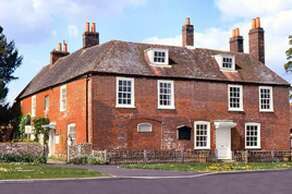 You can visit Jane Austen’s House where she wrote or revised all her novels, and see the Chawton House Library where Jane's brother, Edward Knight lived. At Chawton, which is today naturally regarded as Jane's literary home, Jane revised both Sense &Sensibility which was published in 1811 (and made Jane £140), and Pride &Prejudice, which was published in 1813. This was an instant success. Mansfield Park was published in 1814 and Emma in 1815. Persuasion was completed in 1816 but was not published until 1818, after Jane's death in 1817. Northanger Abbey was also published in 1818. Jane and Cassandra normally went for a walk every day and used to go shopping in Alton, where their brother Henry, who was a London banker, had a branch bank. This was at 10 High Street, where the family post was delivered and collected. A short walk from Jane's home is St Nicholas's Church where Jane's mother and her sister are buried. The present church was rebuilt in 1872 following a fire which destroyed the church that Jane would have known. There are many layers of history for the visitor to explore, including the gothic remains of the original 13th century Augustinian priory. In the mid 20th century the final private owner, society hostess and patron of the arts Maud Russell used the Abbey as a base for her racy and intriguing life. The River Test is one of the finest chalk streams in the world and the walled garden houses the National Collection of old fashioned roses. A traditional stone E-shaped Elizabethan mansion, built in 1557 with an impressive aspect and towering mullioned and transomed windows in the Great Hall. An excellent collection of portraits of English Tudor and Stuart monarchs and their courts, plus some of their European contemporaries. 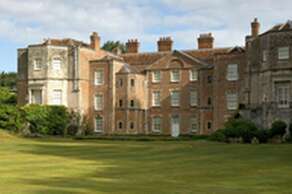 The fishpond and deer park predate the Tudor house, while the pleasure gardens are 18th century. Palace House has been home to Lord Montagu's family since 1538 when it was converted from the great gatehouse of the Cistercian abbey founded in 1204, and further enlarged in the 19th century - keeping most of its monastic features, including the graceful 14th century rib vaulting. 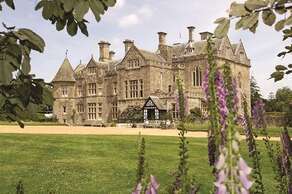 It features walks in the grounds, an outstanding spring flower display, the new Victorian Garden and paths along the Beaulieu River adjoining the National Motor Museum, founded in memory of Lord Montagu's father, a pioneer motorist.